St George's School - Lights Camera, Action! 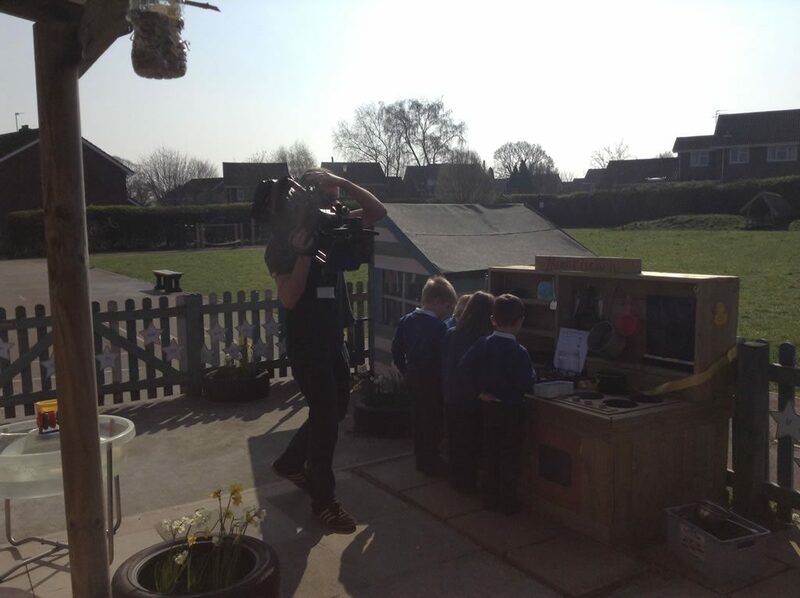 Last Friday, we had some very exciting visitors come to St George’s – Caron and Jamie from ITV West Country News. They had seen the exciting newspaper article in The Wiltshire Times about the great progress that our school is making and they wanted to come and film all of the changes that are making a difference. They spent time in Ducklings Class and watched Phonics and saw the great opening of the new ‘Mud Kitchen’ that Grandad Ken has made for us. They interviewed Mrs Lane, Mrs Cann and Mrs Hunt to find out about how the school has changed. In addition to this, they also took part in a Kingfisher Maths lesson all about sequences and algebraic equations and saw the challenges of teaching Maths in a class with more than one year group. Some of Year 6 were interviewed about how the school has changed over the last two years and how they felt about those improvements. Their morning ended with us filming all the children enjoying a fabulous playtime in the sun using all of our new outdoors equipment. Before they left, Jamie paid the school a huge compliment by saying that as a cameraman, he gets to visit lots of primary schools, but he said that St G’s was special and that we should be very proud of our little school.